How Does Candida Impact the Immune System? - YeastInfection.Org by Eric Bakker N.D.
You are here: Home / Yeast Infection Causes / How Does Candida Impact the Immune System? June 29, 2013 by Eric Bakker N.D.
Once in the bloodstream, candida acts as a typical allergen and is capable of creating typical various types of allergic reactions. There is no doubt, candida and allergies are commonly found together, and this is one of the major ways in which candida can cause many of the potential health complaints. Not everybody with candida has an allergy, though most candida patients I have seen have food and environmental allergies or sensitivities to some degree. You will often see food allergy test (ELISA blood test) results in candida patients revealing an allergy to one or even several foods. Allergic sensitivities to molds and fungi often develop in those with candida overgrowth in their intestines, and for this reason, some have reactions in damp or moldy environments. Due to this, a response to liquor is most likely the outcome of equally a candida infestation as well as an allergic reaction towards the yeasts used to ferment the liquor, specifically if wines, beers, and ciders are being consumed. Alcohol is the most important thing to eliminate first from your diet, and it proves for most yeast sufferers also to be the most difficult. I’ve said it before and I’ll say it again a few more times before you are through reading this book. Many people with candida have a strong desire for it, but alcohol must go. Yeasty foods like breads need to be stopped for a while and sweet treats like chocolate and candies need to be stopped as well. These types of food products stimulate yeast expansion which in turn will trigger immune dysfunction. Do you react strongly to alcohol? Then candida alone is often the main culprit, especially if your skin or digestive system flares up within a day. This problem is often compounded by the other sugary and fermented foods you consume, such as breads, cheeses, yoghurts, commercial (cheap) vinegars, and moldy foods like mushrooms, dried fruits and melons. Most people know that drinking too much alcohol causes a hangover. But what about the many patients I have seen whom only drink small to moderate amounts and experience reactions the following day out of proportion to how much alcohol they consumed the prior day? In case you are getting progressively reactive to liquor, then simply you should consider going through the Candida Crusher Program. You will see with the candida diet later on that it is not a good idea to eat left-over foods from your refrigerator the next day for the same reason I mentioned above, molds and spores can proliferate on these foods overnight in your refrigerator. In my observation, the typical candida patient has multiple allergies and they can in addition also develop multiple chemical sensitivities as well as inhalant allergies. These allergies and sensitivities improve dramatically and eventually disappear as the yeast and sugar-containing foods and drinks are withdrawn. 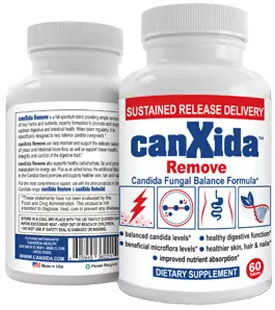 The candida population is reduced and balance is once again restored to the digestive system in particular. When the small intestine is healed, their immune system is healed as well and a person’s sensitivity to many substances drops. Another common occurrence of elevated antibodies findings is with a stool test (CDSAx3), and I regularly find a reduction or an elevation of sIgA, (an antibody commonly found in the mucosa and digestive system) that also signifies an elevated immune reaction probably exposing an underlying sensitivity or allergy. Many patients with chronic digestive problems who have had a stool or blood test performed will often have increased antibody markers as part of their test results, more so the blood based tests though than with the stool tests. The good news is that a lot of your food sensitivities may go away as you cure your Candida overgrowth. As you go through the plan, you’ll be able to determine which cause reactions and which were just victims of your condition. You’ll soon be eating a healthier, immune-supporting diet you can trust.